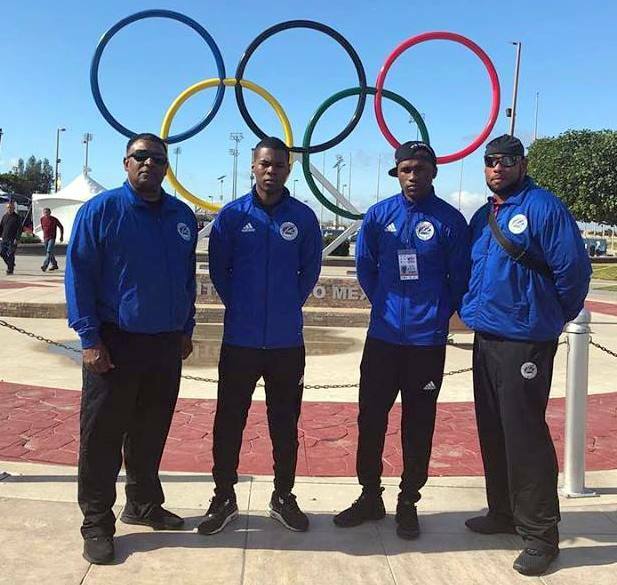 Bermuda Olympic hopeful boxers Andre Lambe and Tyler Christopher will have an eye on proceedings over the next few days as International Olympic Committee (IOC) officials are assessing how they can organize a boxing tournament at Tokyo 2020 without the Gafur Rakhimov-led International Boxing Association (AIBA) as the Executive Board prepares to decide the future of the sport at the Games. The topic is the headline item on the agenda at the Executive Board's two-day meeting. The IOC had threatened boxing with the Olympic axe if Rakhimov, described as one of Uzbekistan's "leading criminals" on a United States Treasury Department sanction list, was elected AIBA President at the governing body's Congress in Moscow earlier this month. The AIBA membership defied the warnings from the IOC as Rakhimov was voted in as the permanent head of the embattled organization following a comprehensive election victory over Kazakhstan's Serik Konakbayev. The IOC suspending AIBA as the organizer of the Olympic boxing competition at Tokyo 2020 and installing a temporary governing body to oversee the event and qualification is among the options on the table for the Executive Board. His election as President is cited as the principle concern the IOC has with AIBA but other issues previously highlighted by the organization are also being considered. This includes governance and judging, although AIBA claim to have made progress with the former issue since Rakhimov took interim charge in January. Other governing bodies for the sport, such as the World Boxing Association (WBA) and the World Boxing Council (WBC), have vowed to help ensure the smooth running of a boxing tournament at Tokyo 2020. Former world heavyweight champion Wladimir Klitschko - rumored to be one of the possible candidates to take over any new organization established in time for Tokyo 2020 - recently claimed the WBA should replace AIBA as the responsible body.